In a city with a higher density of restaurants than sand in the Sahara, New York’s food and restaurant industry is one of perpetual growth and change. So how is someone supposed to keep up with all of it? The International Restaurant & Foodservice Show of New York is the event of choice to keep anyone in the city concerned with serving food abreast of what is happening with panels, events, and more. "Whether you're an independent owner, quick-serve restaurant operator, chef, caterer, baker, bar or nightclub operator, hospital, hotel or commercial foodservice director - make plans now to attend the International Restaurant & Foodservice Show of New York, sponsored by the New York State Restaurant Association (NYSRA), at the Javits Center in New York City, Sunday, March 4 - Tuesday, March 6. On the bustling trade show floor attendees will have the chance to watch live culinary demonstrations and award ceremonies, learn from education sessions, and participate in workshops." The Museum of Chinese in America (MOCA), are launching MOCA Fest to ring in the Year of the Dog on the Chinese calendar with events throughout the city. “The Museum of Chinese in America (MOCA) announces the launch of MOCA FEST 2018 to welcome the Year of the Dog and the start of year 4716 on the Chinese calendar. From now until March 3, MOCA will feature special Lunar New Year programs, speakers, exhibits, children’s activities, a Family Festival, walking tours of historic Chinatown, exclusive access to MOCA’s Collections, and the return of MOCA’s popular Night Market showcasing cuisine from famed Chinese American chefs. Arriving at Taste of the Nation NYC 2017, I was elated to find Walters Hotdogs of Mamaroneck serving from there truck at the entrance. The venerable art deco pagoda was a regular culinary destination of my misspent youth in Westchester. While waiting for my dog, I chatted with Danny Meyer, honorary chair of the benefit for the worthy No Kids Hungry charity. The restaurateur was pleased with the turnout and told me that he was awaiting upcoming reviews of his newly relocated flagship Union Square Cafe. Inside the multi level space, I feasted on offerings from more than 50 purveyors of food and drink. 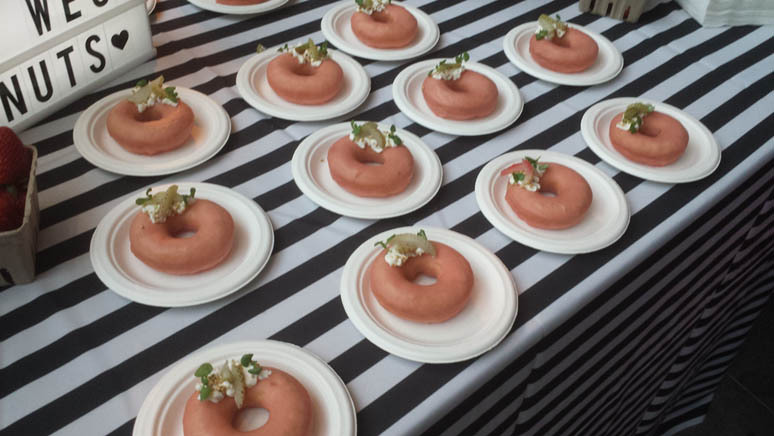 Standout dishes included a delicious gnochetti with rabbit ragout from Freek's Mill and and a toothsome "eggs and ham" deviled eggs with prosciutto di Parma from restaurant Pig Bleeker. Upstairs there was a casino, where the restaurant from the Empire Casino served buttery lobster ravioli and prime beef sliders. Desserts included amazing strawberry and cream donuts from Underwest Donuts. Nobody left this splendid event hungry. 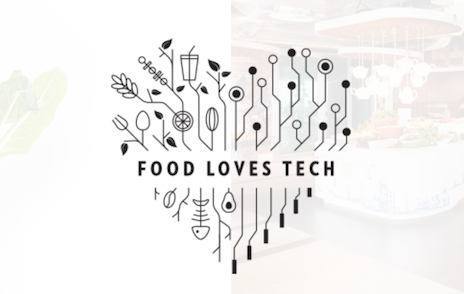 Food Loves Tech — taking place from June 11-12, 2016, at The Waterfront (241 11th Ave at 27th St) — offers the chance to see, smell, touch and taste the technologies that are transforming our food culture. From farm drones and smart ovens to cultured meat and hyper-personalized coffee blends, attendees get to stroll through the food chain oftomorrow, while tasting and sipping from Edible‘s signature roster of local food and drink makers. Launched by the Edible Magazine family — with editions for Brooklyn, East End, Long Island, and Manhattan — embrace the future of flavor. Enter a portal into the future, when food tech innovators, start-ups and thought leaders join with food aficionados and enthusiasts alike at the intersection of food and technology. Discover the latest tech shaping our food via interactive installations, conversations and other immersive food experiences, both high tech and low — from 3-D printing and virtual reality to DIY food crafting and alt agriculture. Featured chefs include José Andrés and Marcus Samuelsson and the Food Team at Google's #makefuturefood competition will be participating as well. There will be a Food Tech Bazaar with Califia Farms, Eboost, Lavit, Le Fusion and Make My Cake. Interactive dinner tickets are still available. Day-time tickets start at $35 (use code EDIBLEFLT), with discounts for buying a pair or a foursome. So bring a few friends and join the Edible team at this three-day event.